How to Relieve Stress Headaches? 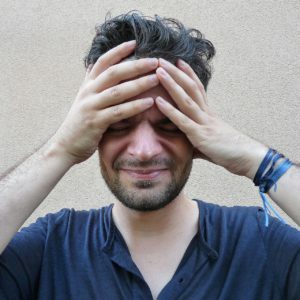 Today we talk about ways how to relieve stress headaches and get better. Nowadays we all experience stress almost every day, and maybe we even think that it’s a normal thing to experience because that shows how important and needed we are. But it’s not true and we need to take time for ourselves, rest and relax. I hope you know that stress is the silent killer that can destroy everything that is important to you and can be left you with nothing. Stress makes people ill with destroyed lives, relationships, and health. Stress can cause tension in your body and impact your health and well-being. Stress headaches also called tension headaches are tightness, dull pain or pressure around the back of your head and neck or your forehead. They can be episodic or chronic that happen more than 15 days per month. Maybe it seems okay if someone experiences a headache for 30 minutes, but imagine a headache that lasts for a few days. Chronic tension headaches are stronger, more painful and they are almost constant. The good thing in all of this is that stress headaches usually don’t disturb your daily activities and don’t affect balance or vision. Although, maybe it would be better if they would keep us from our daily activities because then we would think about proper rest, relaxation and start to take care of ourselves. I know it sounds a little bit harsh, but I see everywhere that we have forgotten how to be ourselves, how to be free and without constant stress that is dictating our every move. I want us all to be happy and healthy, because we aren’t here to live in constant stress and worry doing what we don’t love to do with people who don’t understand us. We need to find our dreams, and then chronic stress and anxiety will become a distant memory, a nightmare from a different world that we left behind. 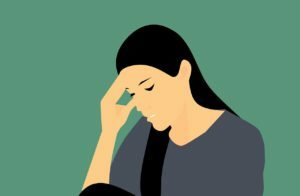 What Can Cause Tension Headaches? Tension headaches can be triggered not only by stressors, but also by different foods and activities. If you are staring at a computer screen for a long time or driving long distances, you can get a tension headache. Stress, drinking alcohol, smoking, fatigue, poor posture, cold temperatures can cause tension headaches. I don’t know how many people experience stress headaches in the world, but up to 80 % of American adults get them from time to time. But about 3 % have chronic tension headaches daily, and women are the ones who experience this kind of headaches two times more than men. How can You know that your Headache is Stress Related? What are the symptoms that you need to know before you start to ease the pain and think about prevention it in the future? People usually experience mild to moderate pressures or pain in the top, front or sides of the head. It starts later in the day, but there are more symptoms like trouble sleeping, irritability, feeling very tired, mild sensitivity to noise or light, and trouble focusing. There is something you can do. There is always something you can do. 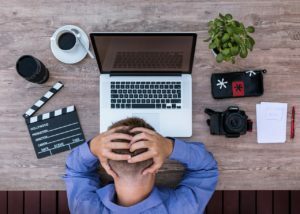 If you often get tension headaches, you can change your habits, for example, you should take frequent breaks while driving or working on computers. You also should avoid using too much caffeine or alcohol, and of course, you need to learn how to manage stress in your life. 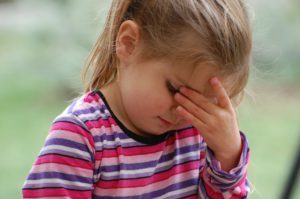 Stress is the one that mostly triggers tension headaches, and that is why you need to know stress management techniques to control how you feel and avoid stress headaches this way. 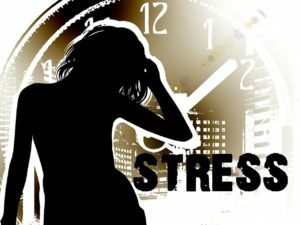 There are many stress relief, stress management techniques and you can choose the ones that help you. You can incorporate meditation or yoga into your daily life, and I am sure you will see the benefits. Deep breathing, relaxation exercises, and stress relief techniques can help you daily. Stress can cause more than a simple headache because stress is the silent killer that destroys our lives and health. But today we talked about tension (stress) headaches and how we can relieve them and maybe prevent them. I hope that know you see that there can be different reasons why you get tension headaches, but mostly the answer is stress. Do you get stress (tension) headaches? Are they usually from stress or your work too much? Are there other reasons why you get them? What do you think Let me know below!